Reaches all parts of the jaw to provide cool, lasting comfort to gums. 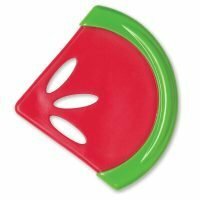 Ideal for front and back teething, this solid, flexible teether is BPA free, freezer safe and stays cool without a liquid filling. Cleans easily and is designed for babies ages 3+ months. Dr. Brown’s Coolees are designed to reach all parts of the jaw to provide soothing relief to sore little mouths. This solid, flexible teether was designed by a paediatric dentist specifically to address the teething challenges of infants. No matter what area of your little one’s mouth is affected by teething pain, this unique teether will provide cool relief. This teether stays cool without a liquid filling and cleans easily with warm, soapy water. 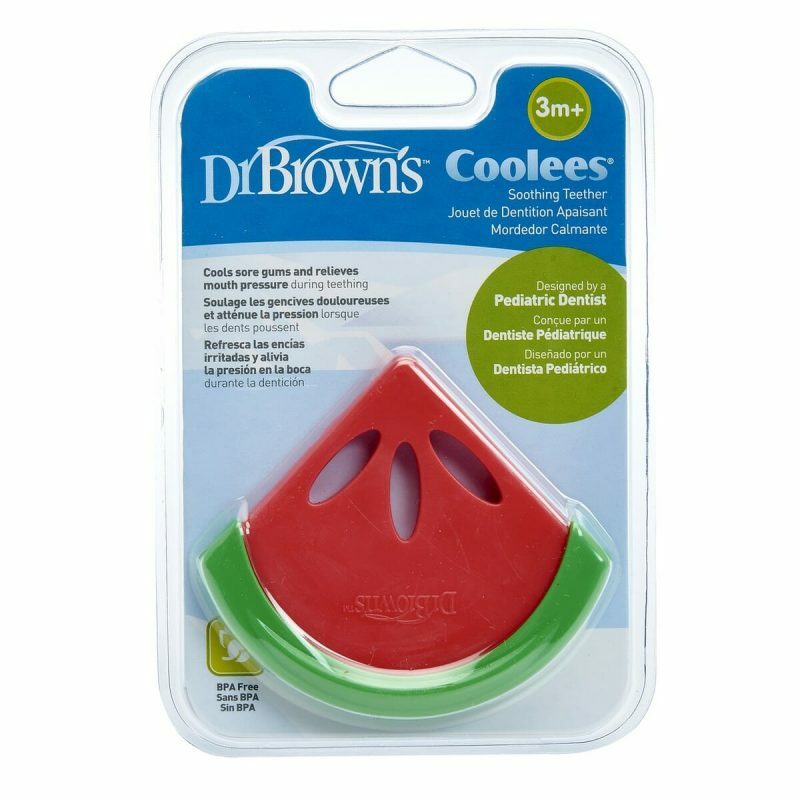 Dr. Brown’s Coolees® Watermelon Soothing Teether is part of a complete family of products that grow with your baby, including bottles and accessories, soothers and teether, and trainer cups.